For those at the beginning of a philatelic research project it will be of much value to them and the results of that research, to have a systematic approach. This article attempts to set out some basic concepts that will help the researcher. This set of guidelines should not restrict the author in his vision or concept of his work, but should help him attain a satisfactory result of value to others and posterity. 1.1 Decide the subject matter of your research. 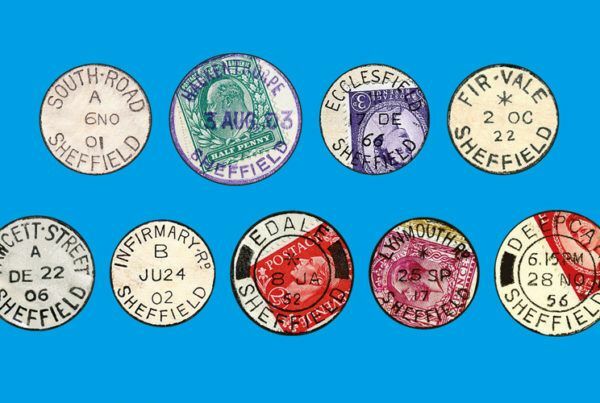 Examples of this include: country, territory, dates, reign; is it postage stamps, postal stationery, meter stamps, revenue stamps or postal history, philatelic history: of what, or where, during which period; including postage rates, postal routes, postmarks, theme, etc? 1.2 Write this down; it will be a useful discipline, but it should be flexible as the availability of research materials may change the course of, or extend, the research. 1.3 Decide on the level and extent of the published work; serious, serious detailed, introductory, light hearted, etc., if necessary tailored to where it may be published. 1.4 Check that it or something close, has not been done before (see 2 below), or that somebody else is not currently working on it too. 2.1 Find all, or as much as possible, of the literature and documents on your subject. This will take the form of books or monographs, articles in periodicals or serials, auction catalogues, catalogues, bibliographies, gray literature (semi published),CDs, internet web pages and archival files, etc. 2.2 Books are best found in a philatelic bibliography if one exists covering the subject area. Library catalogues if subject indexed serve much the same purpose. Those which are available on the internet and are keyword searchable are of particular value. See 2.3. General philatelic reference works may have important information, for example [de Worms] Perkins, Bacon Records…, and Williams, Fundamentals of Philately. Gray literature is semi published text. This will be conference papers, meeting notes, unpublished limited circulation material, etc. 2.3 Articles in periodicals are probably the most difficult to find. Research of periodicals should also be guided by tools in 2.2. These might be of a general nature for example Stamp Lover or specialised like Irish Philately; many may have less than helpful titles if you do not know the subject matter, e.g. Upland Goose (Falkland Islands) or Maple Leaves (Canada). Those with annual or cumulative indexes, if well constructed, offer the most help. The London Philatelist, the journal of The Royal Philatelic Society London, has a key word searchable Archival Edition on DVD covering its 121 volumes from 1892. 2.4 Auction catalogues, including specialised sales, may be difficult to discover if not listed in some way in a bibliography, etc. 2.5 Bibliographies or references in books or articles will be useful source of subject literature data. The more bibliographic data you find the easier it becomes to complete the process. 2.6 Archival files will contain original and probably definitive information. Such files probably are based on a correspondence of some kind, so other files may exist to reflect the other side of that correspondence (post office, printer, papermaker, designer, etc). Most actions have a financial consequence, so a financial file from perhaps a treasury department may be useful. Associated documents/files may contain the information that you are seeking and so should be inspected. Archival files will be kept in a country’s national/local archives/library, a post office, the Union Postale Universelle (UPU), a printer, paper maker, taxing authority, etc. Think widely. It is extremely important to record file names, reference numbers or references, etc. If your project is a long tern one you may need to return to the files after a length of time. 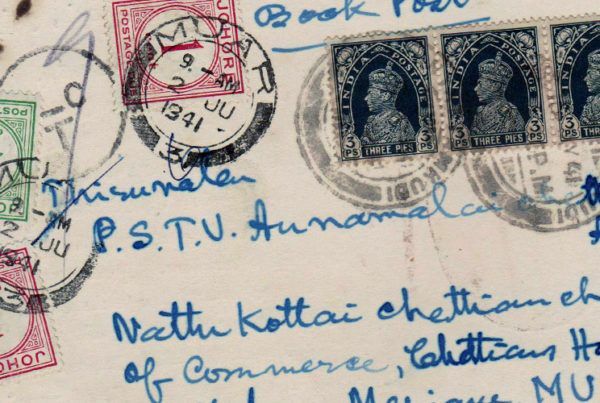 2.7 Non-philatelic materials will give background and other useful information, and these include: directories, Government or official publications, maps, newspapers, patents, timetables, biographies, Army and Navy lists, etc. 2.8 Make a list of the books, and the periodical titles with volume, page and date, etc, as well as web site details, and details of files, etc. See 4.4. 2.9 Read or at least examine those sections of books relevant and the same for periodicals. It will be helpful to do this in the order published; that is by date order. This will give an idea of the development of the subject and its history. Periodicals should be listed as in 4.4 below, with a note indicating usefulness. This may serve as a bibliography in the finished written work, and will be invaluable in recording texts to be revisited. 2.10 When conducting searches on the internet, keep references/web addresses and try to verify the information with primary sources. Remember that web pages are unlikely to be available for as long as a printed item. It might be wise to print them, or parts of them. 2.11 Do not believe everything that you find, perhaps especially on the internet, many researchers have not been accurate or have a good interpretation or perspective. An indication may be if the text does not include references and or a bibliography. Always refer to the primary source of information where possible. Check information. 3. Examine philatelic material and discuss the research project with knowledgeable people. 3.1 Examine as much material as may be available in private and public collections (museums, libraries and archives). Think widely as to where material may be held. It is to be expected that a nation’s postal museum (it may be called a museum of communication) will specialise in the material of that country, but it may hold collections of other countries; for example the Museum of Communication, Berne, Switzerland holds an important collection of United States, the Charles A Hirzel Collection. The Museum of Communication, in The Hague, the Netherlands holds some archival material printed by the printing firm Enschede for the Transvaal Second Republic (1881 to 1899) being proof copies. One of the world’s philatelic repositories contain many collections or archives covering a number of territories or disciplines; this is the British Library, Philatelic Collections, in London, UK, and another is the Smithsonian National Postal Museum, in Washington DC, USA. In all research projects these institutions should be consulted as to available material and literature. They will not undertake your research work for you. Most institutions have web sites; but a few give detailed information as to collections or research materials held. Items etc should be noted as to where these have been seen, especially if an illustration is in mind. In public collections material should be referred to by the name of the institution, the name of the collection or archive concerned and any volume description and page number etc. For example: The British Library, Philatelic Collections, the Tapling Collection, Japan section page 12. This will enable others to see what has been examined or to check on your findings at a later date. These details should be noted down at the time of examination, and will be an invaluable listing of what was seen and where. 3.2 A few tips when looking at material. Used stamps may be water damaged or their appearance may be affected by postmark ink oil. When looking at an item always do so on white or near white paper. A black paper background will almost certainly give a different appearance to a stamp. 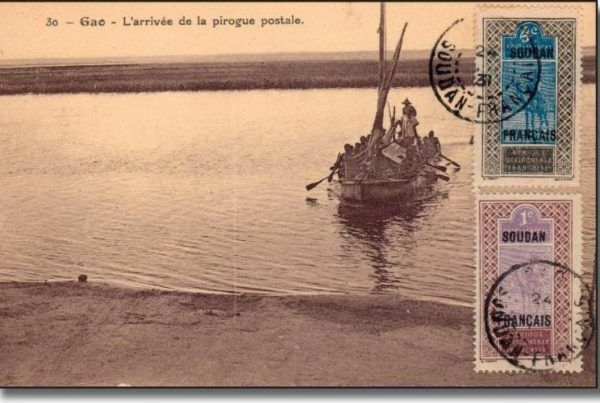 Always suspect that an item is not what it seems; always the first action of a good philatelist. Make clear and concise notes in a systematic way as you may not look at them again until sometime later. 3.3 If looking at essays, proof or archival material, record all the notations and reference numbers, etc, that may be associated with the items, even if they do not appear to be important. They may be or become significant later. 3.4 Museum, Library and Archive Collections will be available subject to conditions of access; these should be carefully checked well in advance before any approach is made. v 3.5 You should have a clear understanding of the “archival” background of a file, collection or item. This may be that information in an official file is definitive, or in a collection such as the Tapling Collection (the British Library, Philatelic Collections) which was completed in 1899, can not contain a later forgery, etc. 4.1 Work out the order in which information or facts will be presented in sections/chapters/paragraphs of your book or article. In a book these will form the basis of the contents page. Facts or information are usually best presented in chronological order or by subject and then chronologically arranged. 4.2 References are vital. They should always be given to prove a fact or to give further, perhaps definitive, information. In any work the question that the reader will ask is how does the author know that? References will give that evidence. 4.3 Include, where appropriate, references by a numbered system. These should be listed at the end of an article. In a book they may be at the end of each chapter or better still at the end after the last chapter and before the index. 4.4 References may be given as follows, or in similar ways so long as the information is complete: Books: Author, title, place of publication, publisher, date of publication, ISBN. For example: Morgan, Helen, Blue Mauritius, London, Atlantic Books, 2006, ISBN 1 84354 435 0. Remember that the title is to be found on the title page and not on the cover or spine. Article in a periodical: Author, title of article, title of periodical, volume number (or whole number if the volume system is not used) page numbers, date of periodical. For example: Beech, David R, “How to look after your Collection – A Basic Guide”, The London Philatelist, volume 115, pp 68-70, March, 2006. 4.5 Always include an index in a book. Remember that users may wish to refer to information in ways other than the way that the author has presented it. For example in a book about postage stamps which is arranged in a chronological order of the dates of issue, a user may be interested in a printer, this information may be found almost anywhere in the text. A good index will list the printer and so the desired information will be found. 4.6 An index is a list arranged alphabetically at the end of the book. A contents page or pages appear at the beginning of the work and is set out in the order in which the chapters or sections, etc appear in the book. It is surprising just how often the two are confused! 4.7 Especially in the case of an article, it is important to set the scene by describing locations, and giving political, social and economic information, etc. The use of maps is to be encouraged. 4.8 All good research work should be published. In a periodical, an article may take the form of work in hand, sometimes put forward for comment, suggestion or criticism, usually in the form of a further article, letter to the editor, etc. The product of such a research process is likely to be definitive or accepted text, as an article, monograph or book. See 5.6. 4.9 Let the facts tell the story, not any prejudgement. However if facts are not all known, but there is a theory or theories about events, etc, make it clear that these are theories. Try to think of all of the possibilities. 4.10 Write to tell the story, with its interpretation as may be appropriate, for the record and the reader. 4.11 Resist the temptation to start writing until you are sure that your research is as complete as it can be. 4.12 Start writing your work. Be concise, make your meaning clear, avoid complicated sentence construction and words with obscure meanings, and use the spell checker. Avoid foreign phrases. 4.13 Especially if you are writing a long article for a periodical or large printed book it would be wise to discuss the possibilities of publication with one or more potential publishers. It will be pointless, unless one is producing a manuscript only, to write a large text for which no publisher can be found. While philatelic publishers which are also charities may be prepared to publish at a financial loss, they would prefer to at least break even or produce a profit. Authors need to be realistic about the market for a subject, treatment of subject or size of book (thus cost). In the region of thirty copies of a book are required for legal deposit, review, complimentary and author’s copies. 5.1 Always acknowledge those who have helped. 5.2 Always give references to published work or other data, including unpublished manuscripts. 5.3 In articles when referring to people who are dead always give their dates; you would be surprised about the number of people alive at the same time with the same of similar names. For example: Sir Edward Denny Bacon (1860-1938). In books this information may be collected into one section, perhaps with further biographic data. 5.4 While it does have a limited place, take great care not to judge past events by the standards of today. Make efforts to understand the history of philately as it affects your subject and the resulting issues of philatelic fashion. For example the limited number of collectors of Revenue material after the 1914-18 World War resulting in the rarest material likely to be after that event. 5.6 The research process in periodicals is one of the presentation of facts/ideas/concepts, etc being put forward to be followed by another author or authors putting forward complimentary or different views, which may extend the subject matter. Over time a consensus or proven view will be accepted. See 4.8. 5.7 Accept with an open mind the views of others and give references to others even if they take a different line. 5.8 Tabulate results if appropriate. 5.9 All illustrations in your work should be of good quality. The days of the use of photocopies have gone, unless these are all that is available. Images are liable to be copyright and the permission of the copyright owner must be obtained and acknowledged, as well as permission to reproduce. The ownership of an item is not necessarily synonymous with the ownership of copyright. v5.10 Grants may be available to meet some or all of the research expenses. These in the United Kingdom are from BPA Expertising Educational Charity; the British Philatelic Trust; the Chand A and Z Research Fund for Classic Philately (managed by the British Library, Philatelic Collections); the Julian Chapman Scholarship (managed by The Royal Philatelic Society London); the Revenue Philately Trust; the Stuart Rossiter Trust. 5.11 Accuracy is everything in research and its publication. 5.12 Get a third party (preferably a philatelist who has published research work) to look at your text and ask him or her to offer criticism and suggestions for improvement. The author is often too close to the work to see its short comings. Check the text for inconsistencies of such things as how dates are expressed, names, etc. 5.13 The golden rule in research and its publication is that it takes as long as it takes, not just the time that you have available. Especially with a book, you are only going to write it once, so make time to get it as right as you can. Set aside plenty of time and then add some more! Below I give some references to works on philatelic research. I would strongly recommend James Negus’s Philatelic Literature. Compilation Techniques and Reference Sources, which is the text most like a bible of the subject. References Kaiser, John Boynton, Bibliography: The Basis of Philatelic Research, Nineteenth American Philatelic Congress, Original Papers of Philatelic Themes Presented by Invitation, October 29, 30, 31 November 1, 1953, New Jersey [Alexandria] American Philatelic Congress, Inc., 1953, pp37-54 Negus, James, Philatelic Literature. Compilation Techniques and Reference Sources, Limassol, James Bendon, 1991. ISBN 9963-7624-3-3 Pearson, Patrick, Advanced Philatelic Research, London, Arthur Barker, 1971. ISBN 0 213 00326 0 Acknowledgments The late Allan P Berry; Alan Drysdall; Geoff Eibl-Kaye; Gavin Fryer; Cheryl R. Ganz, Curator of Philately at the Smithsonian National Postal Museum, Washington DC; Jean-Claude Lavanchy, Curator Philately, Museum of Communication; Bern; Douglas Muir, Curator, Philately, British Postal Museum and Archive, London; Paul Skinner, Curator, the British Library, Philatelic Collections, London; David Tett and Frank Walton for information and or comments on the drafts of the text. Copyright David Beech was Curator, and sometime Head, of the Philatelic Collections at the British Library from 1983 to 2013. He is a Fellow of The Royal Philatelic Society London and was its President from 2003 to 2005.